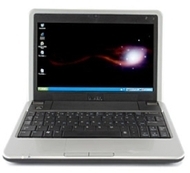 alaTest has collected and analyzed 837 reviews of Dell Inspiron Mini 9. The average rating for this product is 4.2/5, compared to an average rating of 4.1/5 for other products in the same category for all reviews. Opinions about the screen and performance are on the whole positive. The usability and portability are also mentioned favorably, but the touchpad and keyboard get critical opinions. Comments are divided on the energy efficiency. We analyzed user and expert ratings, product age and more factors. Compared to other products in the same category the Dell Inspiron Mini 9 is awarded an overall alaScore™ of 85/100 = Very good quality. Vodafone integrates HSDPA into Dell's new netbook and offers it free on contract. Now updated with video review. Does Dell's little laptop sacrifice usability for portability? We reviewed Dell's Inspiron Mini 9 in last month's issue, but we wanted to see how well it fared against the other models in this round-up. But the sub-£300 Dell Inspiron Mini 9 carries a 1.6GHz Intel Atom CPU, 1GB of RAM, and a solid-state drive, making it a good starter machine for basic computing at a reasonable price.